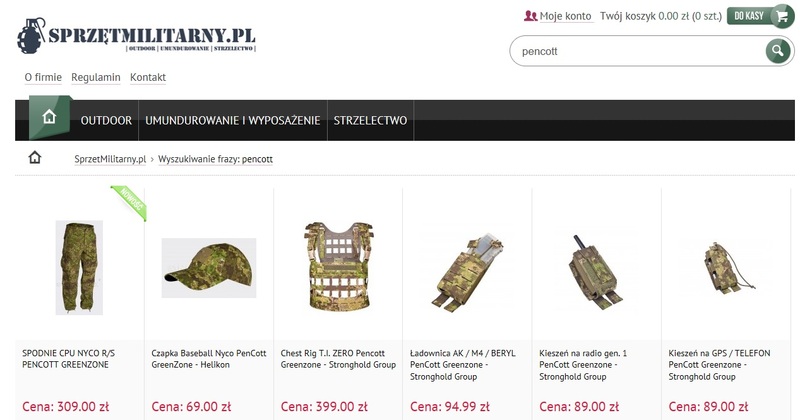 Located in the town of Witaszyce, Poland – and also with a strong online presence – their main business is firearms, ammunition and military vehicles, but Sprzet Militarny could also literally be described as a PenCott superstore! 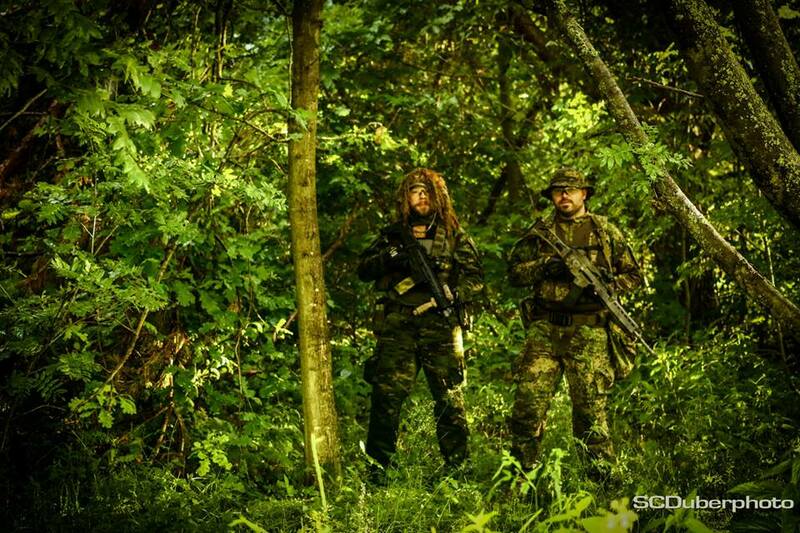 Our friends from SCDTV have published a gallery of photos where you can see a bunch of nice gear from Applied Orange, Wisport, Stronghold Group, Survivaltech.pl, SAGear, and Splinter Custom Ghillie – all put through its paces in the woods by Dudek and Irek of SCDTV. 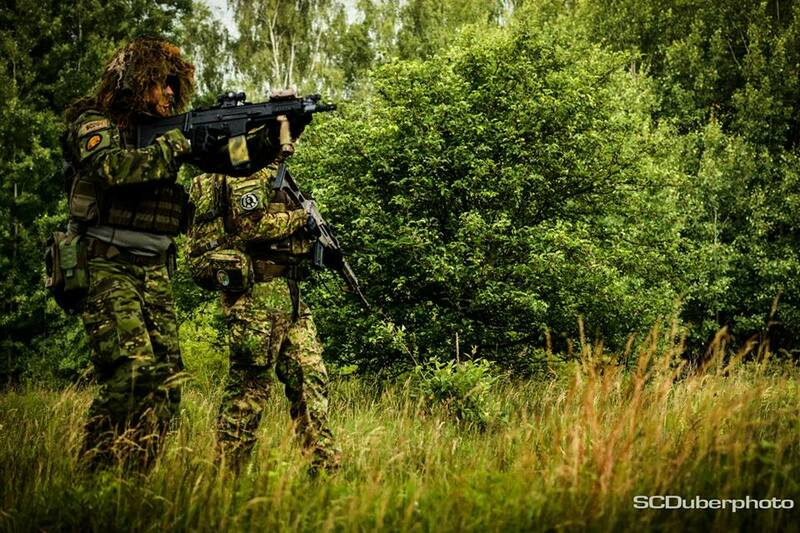 What the gallery also does really well to provide a good direct comparison between PenCott-GreenZone and MultiCam Tropic. This is the first time we’ve seen anybody do such a direct side-by-side comparison. Following the very well-received launch of their innovative T.I. 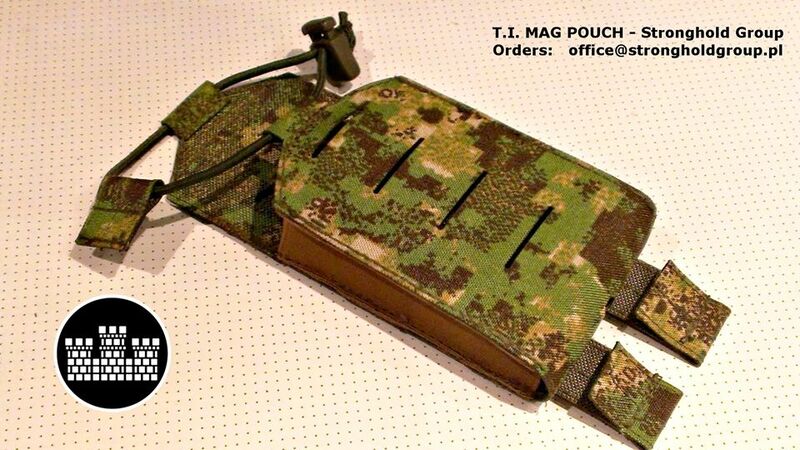 (Tactical Insert) magazine pouch design, Poland’s Stronghold Group have now launched their laser-cut Tactical Insert ZERO-PALS Chest Rig. Made from double-layered 500D or 1000D Cordura fabric, the ZERO-PALS Chest Rig features laser-cut slots rather than PALS webbing for securing pouches to the rig. 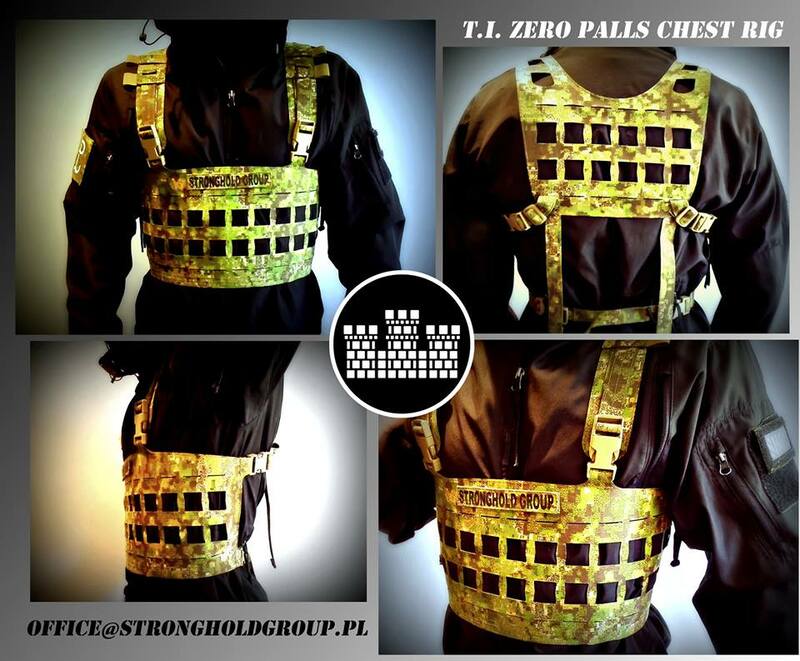 Consequently, the ZERO-PALS Chest Rig is both lightweight and durable, fully compatible with standard MOLLE pouches and fittings, and is adjustable to fit sizes Small to Extra-Large. The ZERO-PALS rig features 14 attachment slots on the front panel and 6 on the back panel, a Velcro strip on the front for a nametape, and loops on the shoulder straps for antenna, cable and/or tube management.